Vietnam and the US discussed bilateral and regional security issues, including recent developments in the East Sea at their fourth annual Political, Security, and Defense Dialogue in Washington on June 17. The Vietnamese delegation to the dialogue was headed by Standing Vice Foreign Minister Pham Binh Minh and the US delegation by Assistant Secretary of State for Political-Military Affairs Andrew J. Shapiro. According to a joint statement issued at the end of the dialogue, the talks reflected heightened cooperation between the US and Vietnam and built upon the success of the third dialogue held in Hanoi in June, 2010. During the dialogue, the two sides noted with satisfaction progress made in recent years in all areas of the bilateral relationship, helping consolidate the framework of friendship and multifaceted and mutually beneficial cooperation between the two countries. Both sides reaffirmed their commitment to strengthening the bilateral relationship based on friendship, mutual respect, and shared commitments to ensure a peaceful, stable, prosperous, and secure Asia - Pacific region. The participants discussed measures to further strengthen cooperation in multiple areas including non-proliferation, counterterrorism, counternarcotics, POW-MIA accounting, dioxin and Agent Orange issues, humanitarian assistance and disaster relief, and other areas of defence and security cooperation. With regard to regional forums, the two sides exchanged views on the promotion of US-ASEAN cooperation and issues concerning the Lower Mekong Initiative (LMI), ASEAN Regional Forum (ARF), ASEAN Defense Ministers’ Meeting – Plus (ADMM+), and the East Asia Summit (EAS). 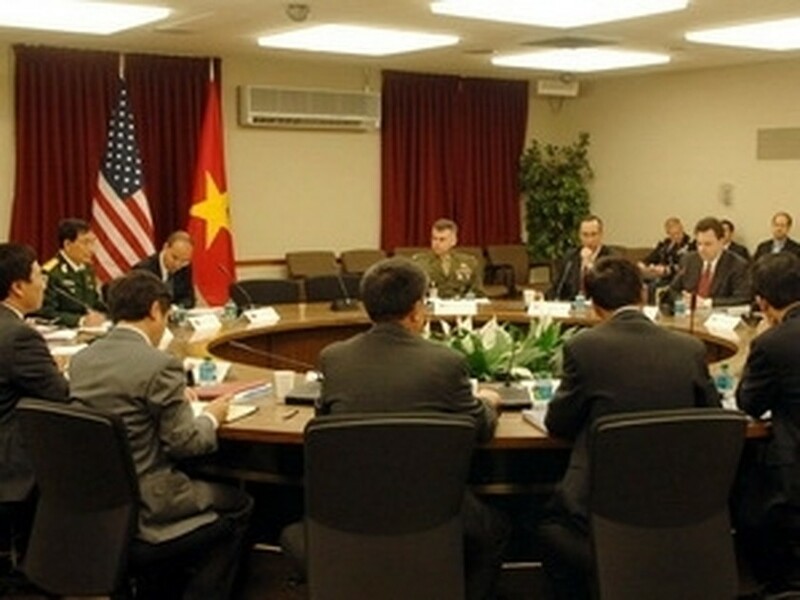 The officials shared interests in working toward a strategic partnership, a theme of the relationship that was reaffirmed during US Secretary of State Hillary Clinton’s visit to Hanoi in October 2010. Vietnam and the US affirmed that cooperation with respect to international and regional security challenges is a natural evolution of mutual and maturing political, economic, cultural, and social ties and helps to cement the economic prosperity of both countries. Regarding the recent developments in the East Sea , the two sides acknowledged that the maintenance of peace, stability, safety, and freedom of navigation in the East Sea is in the common interests of the international community and that all territorial disputes in the East Sea should be resolved through a collaborative, diplomatic process without coercion or the use of force. The two sides noted territorial and accompanying maritime claims should be in conformity with recognised principles of international law, including the 1982 UN Convention on the Law of the Sea. The two sides reaffirmed the importance of the 2002 ASEAN-China Declaration on the Conduct of Parties in the East Sea and encouraged the parties to reach agreement on a full code of conduct. The US side reiterated that troubling incidents in recent months do not foster peace and stability within the region, and raise concerns about maritime security, especially with regard to freedom of navigation, unimpeded economic development and commerce under lawful conditions, and respect for international law. The dialogue took place in a spirit of mutual respect and understanding, helping strengthen and deepen friendship and cooperation between the two countries. 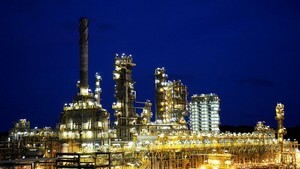 The fifth dialogue will take place in Hanoi in 2012.